Sony has confirmed their PlayStation 4's next big system software update, version 3.50, is almost here. The beta will be available tomorrow if you were selected, and Sony is sending out emails with instructions on how to download. 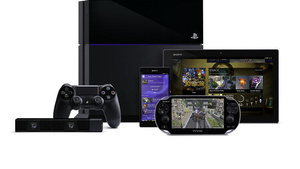 Remote play caught my eye, but it doesn't sound like it's coming anytime soon. This is considered a "big system software update"? Every single feature here is weak and virtually useless and would definitely go unmissed. Consoles are inferior to the PC. Time to switch up people! There is nothing here that will improve anything really. I just hope its not several hundred megs that will take ages to download and install.